What's more fun than chasing squirrels at the park? Chasing squirrels at home, of course! Finally there's a toy version of your pup's favorite pastime. 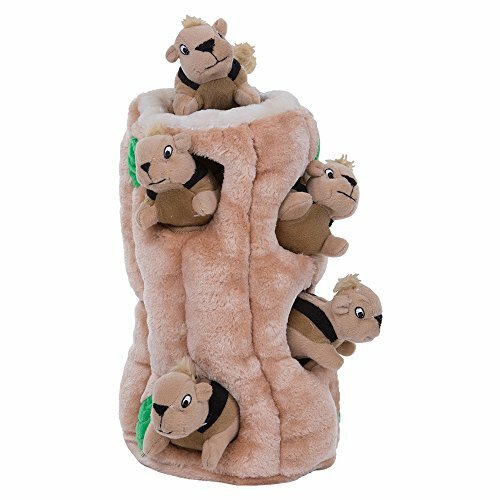 Just stuff the squeaky squirrels in the soft tree trunk, and watch your dog pull them out one by one. To keep the game going, just stuff them in again and again. These squirrels love to play! Bound to become your best friend’s favorites, our lovable toys are durably designed with an engaging array of shapes, sounds and textures so you can have huge fun with your furry friend. 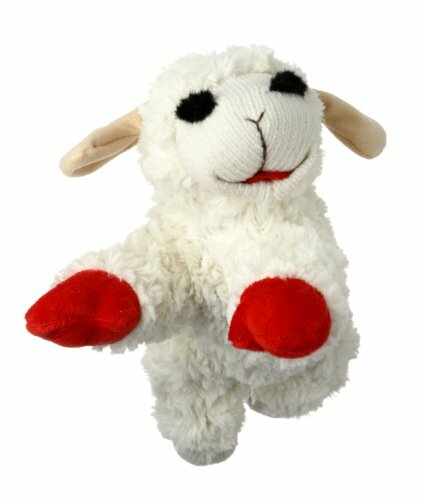 Multipet now offers Lambchop as a dog toy. Lambchop is 10 tall and this Shari Lewis TV puppet was a classic during the 60's and is now back as a great plush toy that squeaks for your dog." 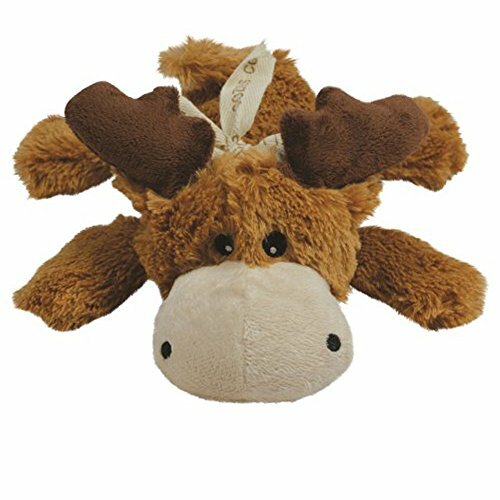 Cute, soft and cuddly-these two 9" long moose plush toys are made with an extra layer of material, so they're extra tough. The moose have minimal stuffing, so even if your dog does work through the extra layer, there's minimal mess. Cozies are perfect for a game of fetch or as a comfort toy for your furry friend, and they contain a squeaker to keep your pet engaged. Kong toys are enthusiastically used and recommended by veterinarians, trainers, dog professionals and satisfied customers worldwide. Not designed for continuous chewing. 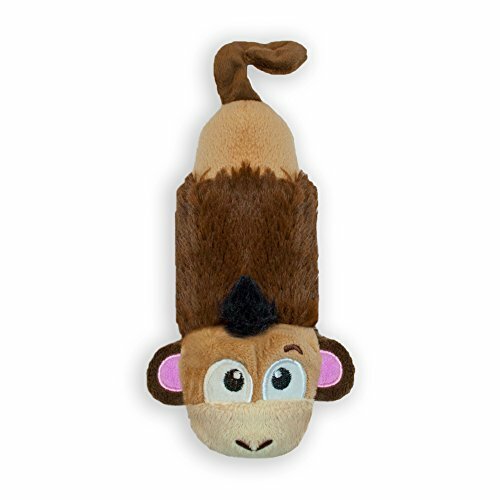 Stuffing Free Lil' Squeak Monkey by Petstages has tons of fun without the mess! Two separate squeak chambers keep squeaking when punctured, so your pup can have hours of safe, squeaky fun! Plus, there’s no stuffing, which means no mess. The Stuffing Free Lil' Squeak Monkey by Petstages is ideal for your small sized dog. 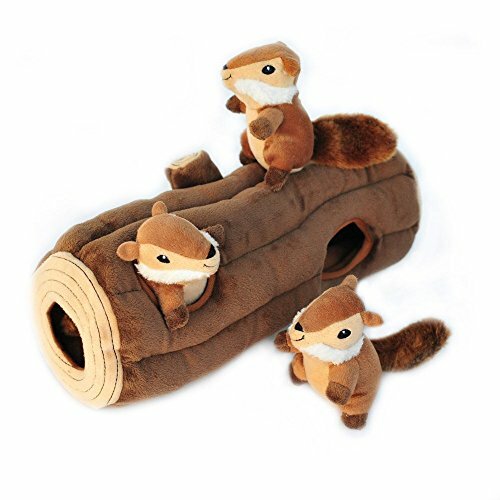 Dogs love to bury their noses in the Zippy Burrow Log to dig out the chipmunks (comes with three squeaky chipmunks). They'll be begging you to put them back in the Burrow Log again and again for hours of fun! Extra-large size is great for large dogs. 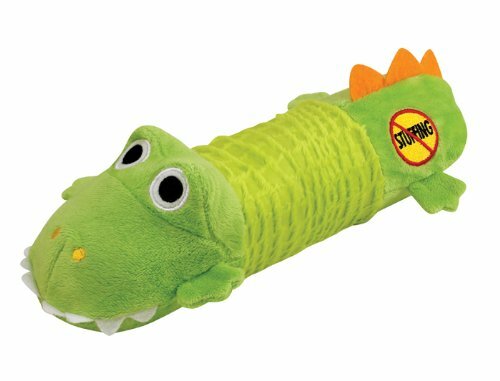 Stuffing Free Big Squeak Gator by Petstages has tons of fun without the mess! Two separate squeak chambers keep squeaking when punctured, so your pup can have hours of safe, squeaky fun! Plus, there’s no stuffing, which means no mess. The Stuffing Free Big Squeak Gator by Petstages is ideal for your large or medium sized dog. 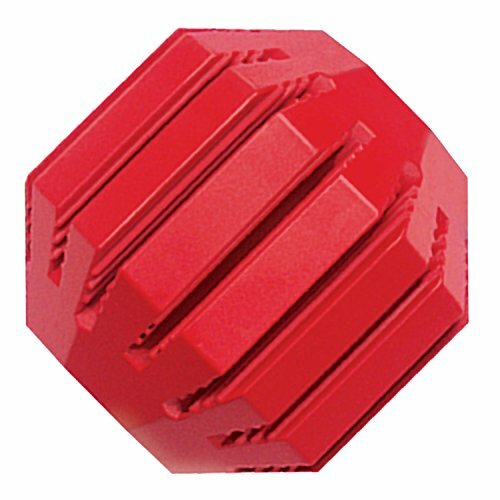 The KONG Stuff-a-Ball is perfect for stuffing with KONG Snacks or for filling the patented Denta-Ridges(TM) with KONG Easy Treat. 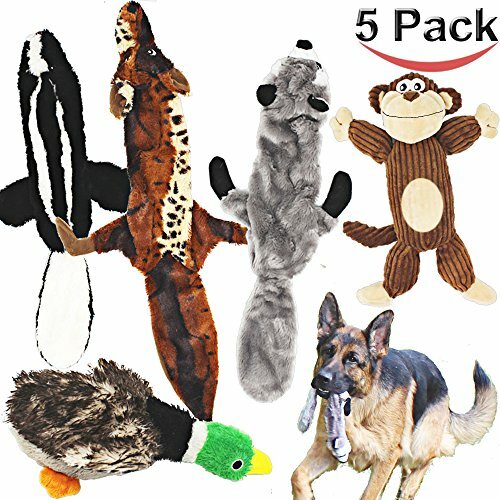 Jalousie 5 pack dog squeaky toys 3 No stuffing plush 2 animal for small medium large dog pets: SUPER VALUE &GREAT FUN: Includes 5 Most Popular Dog Squeaky Toys for Small, Medium and Large Breeds. 3 No stuffing toy include 3 squeakers each. 2 Animal Plush toy: a monkey and a duck goose plush toy. Provide hours of fun. Not for aggressive chewers. Like every other toy, the squeaky plush toys are not indestructible. We recommend supervised play, and timely replacement of the broken ones. 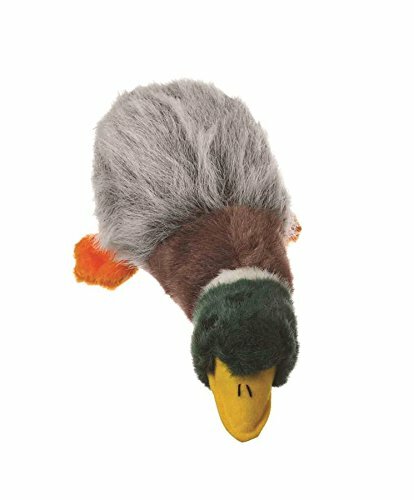 Looking for more Dog Stuff Toys similar ideas? Try to explore these searches: Genuine Hematite Chip, Tascam Mic, and Washington Vintage Jeans. Look at latest related video about Dog Stuff Toys. Shopwizion.com is the smartest way for online shopping: compare prices of leading online shops for best deals around the web. Don't miss TOP Dog Stuff Toys deals, updated daily.